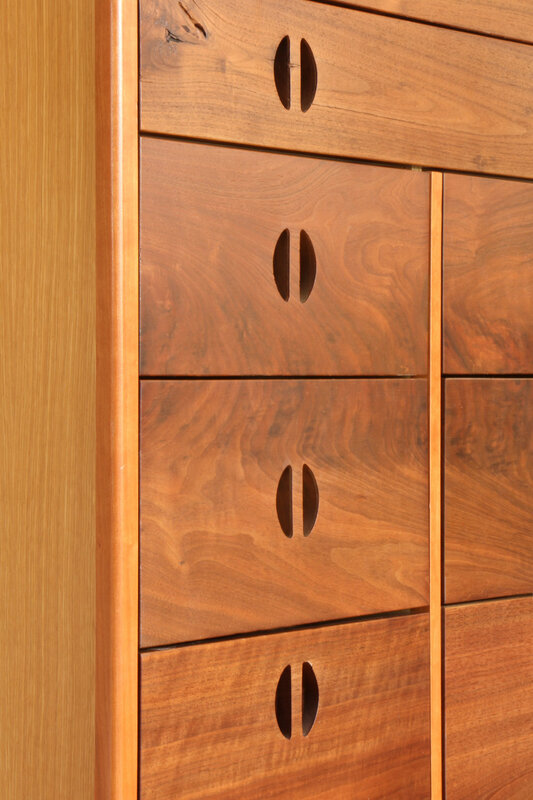 A chest of drawers made of quarter-sawn White Oak, Walnut and Cherry. Multiple size drawers and accessible top storage for mixed use. Dresser made of American Walnut. Drawer pulls made of African Mahogany. Made of solid Peruvian walnut. Through-tenons revealed on the countertop. Shelves are adjustable for books and records. Additional concealed storage in the drawer and base cabinet. Door pulls made of Bloodwood. 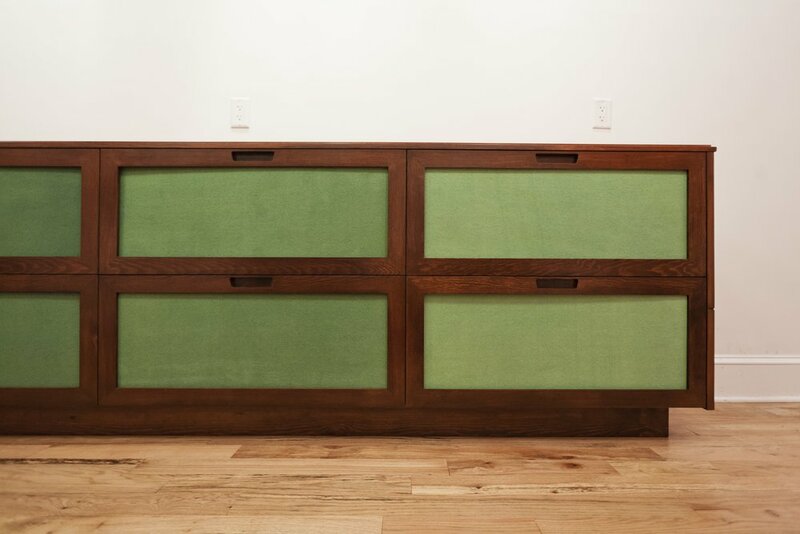 A sideboard made from reclaimed church pews. Stained pine with inset panels of Ombre dyed silk by Radica Textiles.